Hashimoto’s is the most common cause of thyroid disorders in the nation—and it can cause disruptive symptoms well before a conventional doctor would make a diagnosis or offer treatment. And that’s where the functional approach differs. In this episode of Revolution Health Radio, I talk with renowned thyroid specialist Izabella Wentz about how Functional Medicine can uncover the root cause of a thyroid disorder early on and help people feel better faster. Hey everybody, Chris Kresser here. Welcome to another episode of Revolution Health Radio. This week I’m really excited to welcome Izabella Wentz as my guest. Izabella is an internationally acclaimed thyroid specialist and licensed pharmacist who’s dedicated her career to addressing the root cause, or causes, of autoimmune thyroid disease after being diagnosed herself with Hashimoto’s thyroiditis in 2009. She’s the author of the New York Times best-selling patient guide Hashimoto’s Thyroiditis: Lifestyle Interventions for Finding and Treating the Root Cause and the recently released protocol-based book Hashimoto’s Protocol: A 90-Day Plan for Reversing Thyroid Symptoms and Getting Your Life Back. I’ve known Izabella for some time. I really respect her approach. I find it to be evidence-based and balanced. And we see eye to eye on a lot of topics related to thyroid and autoimmunity. I’m really excited to talk to her about her most recent book, which is Hashimoto’s Food Pharmacology. It looks at a food-based approach to addressing autoimmune dysfunction, specifically with Hashimoto’s. So I hope you enjoy the interview as much as I did. Let’s dive in. Chris Kresser: Izabella, thanks so much for joining us. It’s a pleasure to have you on the show. Izabella Wentz: Thank you so much for having me, Chris. I’ve been a long-time listener. So excited to be on. Chris Kresser: Great. So let’s start with a little bit about your background and your story. I know a bit about it myself, but some of my listeners might not be familiar with it. So, how did you end up doing this work? How did you come to this? Izabella Wentz: So, I became the Thyroid Pharmacist as a result of my own health journey. I am, full disclosure, I was never interested in the thyroid gland during pharmacy school. I thought it was a very boring condition where you just gave somebody thyroid hormone if they had an underactive thyroid, and you suppressed their thyroid hormone production if they have an overactive thyroid. And little did I know a lot of the symptoms I actually was having in pharmacy school were related to my thyroid condition. It wasn’t until a few years after graduation, and these symptoms just kept building up, and every year I had more and more symptoms, is when I pursued some further testing and found out I had Hashimoto’s. And I wanted to become the healthiest person I could be with Hashimoto’s and perhaps find some ways to slow down the progression of the condition over some of its symptoms. And that’s sort of how I became a Hashimoto’s expert/human guinea pig, was really trying to get myself better with some of these lifestyle interventions that were just not the standard of care at the time when I was diagnosed. And as a result of my own health journey and getting my own health back, I’ve been able to work with other people who had very similar symptoms. It’s amazing how a lot of the things that helped me ended up helping them and just kind of deepened my knowledge from that point on. So I’ve been doing this work since, really, started about 10 years ago with my own diagnosis. 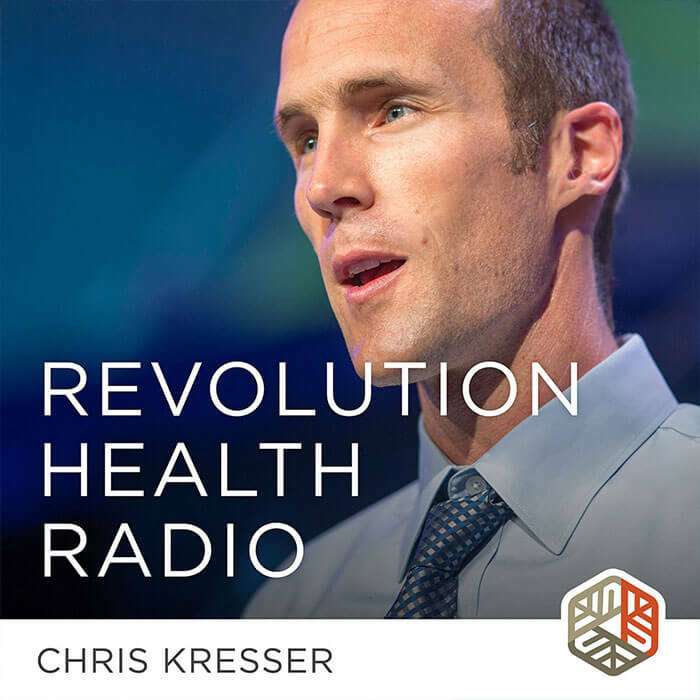 Chris Kresser: Well, let’s talk a little bit more about that diagnosis, because I’m always curious about people’s interaction with the conventional system. And it’s a little different because you were a practitioner yourself. But did you see a physician? And what did they test for initially? Did they diagnose you as Hashimoto’s? Or did you figure that out yourself through your own reading? Because, as you well know, a lot of people go into the doctor and the doctor will just run a TSH test and that’s it. And if it’s “normal,” and I’m doing air quotes here, let’s say it’s 4.25, which is considered to be normal in the conventional system, that’s the end of the story. But of course you can’t diagnose Hashimoto’s with just a TSH test, which is what most people get. So how did that happen for you? Izabella Wentz: Wow, yeah, I mean, for, I think, the average person, it takes about 10 years to be diagnosed. And I would say for me was quite similar. I started having symptoms probably in childhood because I was exposed to Chernobyl, and then I started having, my mom, actually, was a pediatrician, and she tested my thyroid function when I was a teenager because she thought my thyroid gland looked swollen. Izabella Wentz: And at that point, my TSH was normal, so she took me to an endocrinologist, pediatric endocrinologist of some sort. Then I started having symptoms again in my first year of undergrad, and I was depressed and just had all these weird things going on that were not like me. And I ended up on, I was a good girl, I was a pre-healthcare student, so I was always going to the clinic and doing all the things that you’re supposed to be doing. Chris Kresser: Which is interesting because that’s one potential trigger of Hashimoto’s and autoimmunity. Izabella Wentz: It’s a trigger or exacerbating factor for so many people that we just really don’t appreciate it. I think we do, you and I do. Chris Kresser: It’s not widely known, that’s right. So you’re in college, you’re going back to the clinic, but still at this point they’re just looking at TSH or maybe T4 and T3. And has anyone tested your antibodies yet at this stage? Izabella Wentz: No, definitely not. And then it was, like, every year after graduation I developed, or after undergrad, then I developed irritable bowel syndrome. And then they said, “Oh, it’s because pharmacy school is so stressful,” which it was, of course. Izabella Wentz: And then it was acid reflux and then it was allergies and then it was hair loss and then brain fog. And I was going back and everything was normal. “No, you’re not anemic, your thyroid is fine.” At one point I got a hold of my thyroid test results, and it was like your TSH is 4.5, everything is fine. Izabella Wentz: Everything’s normal. And I was, like, in my mid-20s, and now I know, of course, like, I was like a sloth with a TSH of that number, and generally we want to have that around one for most people in their 20s. Then it was, I just kept going because I had all these issues, and I ended up going to an allergist because I was allergic to everything. And she was the one that found I had these high thyroid antibodies. And they were TPO antibodies but were over 2,000 at that point. Chris Kresser: Wow, yeah. Yeah. Izabella Wentz: Yeah, it was a long journey. Chris Kresser: Right. And had somebody tested those seven or eight years before when these symptoms started, they might have been mildly elevated and there might’ve been an opportunity to intervene there and slow or stop or reverse the progression of that. Which is, of course, what we talk about a lot in Functional Medicine, right? This idea of catching a pathology at an earlier stage before it even manifests in a disease. But your experience is a great example of where that can fall down. Izabella Wentz: Absolutely, because at the point where I was diagnosed, I was already in need of thyroid hormone. Had I been diagnosed five, 10 years ago, potentially I could’ve prevented the depression, the fatigue, the carpal tunnel, all these symptoms. And I could’ve maybe prevented the use of medications as well. But we know it’s a lot easier to prevent damage to an organ than to grow one back. Chris Kresser: Absolutely, absolutely. And that’s, I mean, I feel like your experience in Hashimoto’s in general is such a good case example of the need for the Functional Medicine model. Because, as you explained, like the appearance of antibodies and then the body acting on that antibody production and attacking the gland usually precedes the development of actual hypothyroidism or clinical signs and symptoms by years, if not decades. And so, if you’re just waiting to see the high TSH and the low thyroid hormones, you’re missing years or, again, decades where you could be intervening and stopping the progression of that condition. And yet, antibody testing is not part of the standard of care still today. Izabella Wentz: And it’s so backwards, because the antibodies come first before you see change in the thyroid hormone and TSH. Izabella Wentz: And it’s so unfortunate, because any day you test the TSH, there might be some days where you have thyroid disease. But because you’re still fluctuating with the early stages of Hashimoto’s between hypo and hyper with a destruction of the thyroid gland, you’re going to have some thyroid hormone dumped into your system whenever the thyroid gland is being attacked. And you might test with a normal TSH on some days, with an elevated TSH on some days, and with a low TSH on some other days. So it’s kind of a luck of the draw unless you’re in the really far advanced hypothyroidism. Chris Kresser: Stages of it. Yeah. I’m constantly reminding my patients and readers about this. That TSH, I remember a couple studies suggesting that you have to test it about 15 to 20 times to get a true average because it’s so variable from day to day. And then there are also some studies, as I know you know, that suggest that TSH has a diurnal rhythm like cortisol. So it fluctuates even throughout a day. So if you test it at different times during the day, you’ll get different values. And so it’s so hard as you mentioned, for someone who’s trying to figure this out if you’re only relying on TSH because of that relapsing–remitting future of early-stage Hashimoto’s. I see it all the time in my patients, where we’re regularly testing the full thyroid panel. And they can bounce back and forth between hypothyroidism, normal thyroid function, and hyperthyroidism, even in that early stage when they’re in a flare. And it’s just, it’s really quite impossible to figure out if you’re only looking at TSH and you’re not testing free T4 and free T3 and the thyroid antibodies themselves. Izabella Wentz: Yeah, I’m a big proponent of testing for thyroid antibodies. So TPO antibodies and TG antibodies, if you have any suspicion of thyroid disease and if you’re a woman. I just had my first baby last year. Izabella Wentz: Thank you so much. And I know for so many women, they have miscarriages or they’re unable to get pregnant because of thyroid disease or even thyroid antibodies. So I would say every woman of childbearing age should get those tests done. Anybody with any suspicion of thyroid disease, anybody with mental health symptoms. Because what’s I guess crazy, no pun intended here, but a lot of times people present with anxiety and depression as some of their first symptoms. And those might be the only symptoms they have for many years. Chris Kresser: Yeah, yeah. You may know some of my own backstory with this. It’s not me personally, but my wife. When we were trying to conceive many years ago, we had trouble. About a year passed, and that’s not necessarily unusual, but at some point, we started to think we probably need to look into this. It’s not happening as quickly and easily as we had hoped. And so, me being me, I did this pretty deep dive into the research and I did some testing. And we found in my wife’s case, actually, she had TSI antibodies. So this was a suggestion of not Hashimoto’s, but Graves’ disease. And there’s some crossover sometimes. She also had some TG antibodies, and there’s always some question about whether it’s Graves’ or Hashimoto’s. And in a way, it doesn’t matter when you’re looking at it from a functional perspective. Because it’s autoimmunity. And so we were going to address it from that perspective. And for her we did some herbs and we did, she was already on a really good diet and lifestyle. And then low-dose naltrexone in her case was a huge shift. And then shortly after that, she conceived and then was able to deliver a healthy baby. So it can be a big deal. I mean, it can really make the difference between being able to conceive and carry a baby through to full term and not even being able to conceive in the first place. And it’s just, it’s sad that so many women are suffering with this and don’t even know it. Izabella Wentz: Yeah, it’s incredibly sad to see people having the multiple miscarriages, potentially not being able to get pregnant in the first place. And I love that you utilized an integrative approach where you were using some of the best, the integrative medicine with low-dose naltrexone and Functional Medicine and nutritional lifestyle medicine as well. And I’m a big believer in using everything we have that’s out there, whether that’s thyroid hormones, whether that’s some innovative compounded meds and nutrition and whatever else we can to just try to get the person to feel their best. Chris Kresser: Absolutely. I mean, my motto has always been whatever works and causes the least harm, or preferably no harm at all. And oftentimes, medication does not fit into that category. But sometimes it does, and it can really be the best option, or at least one of many options, in that case. So the other thing, of course, with—and it can happen in that situation—is a woman can become pregnant, can carry the baby through until full term, but then the baby has thyroid issues because of the mother’s Hashimoto’s. Or we know that that can increase the risk of hypothyroidism and thyroid issues in the baby. And that will often, for the same reasons that we’ve been talking about, not be diagnosed until much later in life. They might have a subclinical low-level thyroid issue in childhood that could be responsible for a lot of their just kind of strange and mysterious health conditions. Izabella Wentz: And another thing too, I feel like that’s super-underappreciated is a lot of times women will develop thyroid disease postpartum as well. And being a new mom, I’m sort of like, “Yeah, I could see how people would develop a thyroid condition from a Functional Medicine stress perspective, with the really long nights and being worried about your baby when he’s not sleeping and whatnot.” So that’s another really big common time that women will say, “Hey, I felt normal. I had a normal pregnancy. I had this beautiful child and here I am three, six, nine months later, and I just don’t feel like myself again. I’m exhausted. I’m anxious. I’m not losing the weight, or maybe I lost the weight very quickly.” And a lot of times it’s actually the thyroid that can, it can get out of whack right after a woman has a child. Chris Kresser: Yeah. That seems to be an unfortunate consequence of pregnancy and delivering a baby. I can’t tell you how many patients I have that their onset of Hashimoto’s happened after the birth of a child. And the research suggests, and this makes sense, is there’s a profound immune shift that happens during the, particularly the second and third trimester. The first trimester shifts in one direction, then it shifts back in another direction. And then after birth it shifts again in another direction. So all that shifting back and forth, I think, can, if there are some predisposing factors there, can trigger the onset of Hashimoto’s. So yeah, I agree, it’s a really, it’s a bummer, right? It doesn’t seem fair that something so amazing and beautiful as delivering a child could trigger that. But unfortunately, it often does happen. It’s one of the triggers for many women who experience this. Let’s dive in to a little bit more discussion about the problems with the conventional approach to thyroid testing. Because I think a lot of people out there in your audience and in mine are somewhat familiar with this. But for newer listeners, I think it’s really important to get this across. Because as we’ve been talking about, so many people will go into the doctor and just get a TSH level. And we’ve talked a little bit about the issues with only testing for TSH. But let’s dive into actually the conventional range for TSH and why that’s problematic. You mentioned that your TSH was 4.5 and you were told that that’s normal. But what’s the problem with that? Izabella Wentz: Normal is a setting on a washing machine. Izabella Wentz: So what’s kind of interesting when I was initially doing the research into my own health and the research for my first book, it was very interesting to find out how that the “normal ranges” of TSH were determined. And it was through using just a bunch of different people’s blood and some of the people within that pool of blood, they actually had thyroid disease. And so the reference range became overly lax. And we had this huge range because people with thyroid disease actually happened to be in the group of “healthy people.” And so, to make a long story short, there’s this really big reference range where it really, if they just looked at the blood levels of healthy people without thyroid disease, the TSH should be somewhere between 0.5 and two. Chris Kresser: You don’t have any eyebrows anymore and you left a trail of hair as you walked through the building. Yeah, no, it’s really crazy because this is, of course, not just for TSH. This is true for even other thyroid markers, but many other markers on a blood panel. And it’s crazy to me that so many lab ranges are built by studying sick people, or at least including people who have the disease that you’re trying to screen for in the sample. It just doesn’t make any sense at all. But it’s definitely something that I would watch out for and continue to look at. But if your TSH is 4.5 like yours was, Izabella, then that starts to, in my mind, be pretty significantly outside the range of what we see in healthy people. Izabella Wentz: And the other thing is I was so symptomatic too. Izabella Wentz: And so I was, like, losing hair and I was forgetful, I was very sloth-like in my day-to-day activities. I was sleeping 12 hours a night, and I also had the really high antibodies. Had they been tested, that would’ve been found and that would’ve been a clear … I love that in Functional Medicine we have so many different options. When somebody has TSH that’s maybe slightly elevated, we can do some of these lifestyle things and wait a few months. And maybe that TSH will normalize. Chris Kresser: “Come back to me when your thyroid gland has been so destroyed by the antibody production that there’s nothing left to do but give you thyroid hormone,” is kind of what it looks like, right? Izabella Wentz: Right, and as a pharmacist, I’m an advocate of actually using thyroid hormone earlier in the game because it’s one of the things that’s been shown to one, relieve symptoms, which is super important, but two, it also can slow down some of the progression of the condition. It’s not a cure by any means, but it can bring down that TSH a bit so that we’re not, I guess, causing so much attention to the thyroid gland from the immune system perspective. And it allows the thyroid gland to kind of chillax a little bit and bring down some of that inflammation. Chris Kresser: Yeah. So let’s go back to the thyroid panel now. So, we know that the range for TSH is too broad and that when healthy people have been studied with a normal functioning thyroid, you see TSH between 0.5 and two or 2.2, depending on what studies you look at. Sometimes I will see panels from primary care providers or conventional practitioners that have TSH and total T4. So it’s a step up from just TSH, but then it’s total T4 only. So what’s the problem with that? Izabella Wentz: I think that—and like I said, it’s a great step in the right direction—but at the same time I love to utilize free T4 and free T3 because that tells us how much thyroid hormone is actually available to interact with thyroid hormone receptors. The total T4 includes the thyroid hormone that can be bound up and not available for the body to use. And this could be for various reasons, with different types of hormone abnormalities, potentially stress response, nutrient deficiencies. Chris Kresser: Right. And then you have the issue that T4 has to be converted into T3. And we know 93 or 94 percent of the hormone that’s produced by the thyroid gland is T4, which is relatively inactive. That has to be converted into T3 in order to, as you say, become biologically active and complete the mission of thyroid hormone. And one of the things that decreases the conversion of T4 to T3 the most is inflammation, which you would of course expect someone with an autoimmune inflammatory condition to have, right? Izabella Wentz: Absolutely, and that’s one of the things that is also on my list of pet peeves with the conventional approach. Because a lot of times, just T4 medications are utilized for people when they have a thyroid condition. And people will say, “Oh, I feel a little bit better. Maybe I only need like 11 hours of sleep instead of 12.” But they’re still not converting the medication into the active hormone. So T4 is known as a “pro-hormone,” which means that it’s going to be, the body needs to do something with it to be the more active version. And on paper the T4-to-T3 conversion happens perfectly every time. In the human body, not so much. But like you said, there’s so many different things, inflammation being one of them. Nutrient deficiencies, stress that can prevent the T4 to T3 conversion. One of the big things that I see is actually impaired, the liver. If we have impaired ability to detoxify and just … these are not things you can necessarily find on a conventional lab test. But there’s subclinical things where the person will just not be making enough of that T3 hormone. And a lot of times I’ll advocate for using different types of thyroid hormone medications that contain not just T4 but also T3, and sometimes T2 and T1 to really ensure that the person has the best outcomes that they could have from medication therapy. Chris Kresser: Absolutely. And for those that aren’t familiar, the T4 medication is levothyroxine, or Synthroid in the US. These are, as Izabella said, this is the standard of care. Like, this is what most patients will get if they are diagnosed with thyroid, hypothyroidism. And since Hashimoto’s, statistically speaking, is the number one cause of hypothyroidism in the US, we’re not talking about a rare thing here. We’re talking, like, most people who are diagnosed will have it. And so Synthroid is actually going to be, it can work, no doubt, for some people. But for a lot of people, many people, perhaps most with hypothyroidism, they’re going to have a problem with that conversion. And then what happens is, and I’m sure you saw this as a pharmacist, where people would, the doctor has to prescribe higher and higher doses of levothyroxine because the conversion is not happening and the patient still feels bad. And then their TSH basically gets to zero. They’ve got high T4, but their T3, especially their free T3 might still be low and they might be really symptomatic. So they hit kind of a dead end there, don’t they? And then of course the wise psychiatrist and the wise dermatologist will say, “Hey, what about this T3 hormone?” What’s interesting is that T3 medications were used by some psychiatrists for treatment of refractory depression. And it’s kind of frustrating for the average person because they get a runaround from conventional medicine. You almost feel like you’re going crazy because nobody is validating what you’re going through and the experiences of people with thyroid conditions. I’ve talked to thousands of people with Hashimoto’s, and so many of them go through the same things. And sometimes, honestly, for me, like when I work with a client, sometimes it’s like they just want to be heard. And sometimes I’m the very first person that says, “Yeah, that makes a lot of sense is that you’re feeling this way even though you’re doing X, Y, and Z.” And I see this time and time again. Chris Kresser: Yeah, yeah, it’s, again, I mentioned this before and I’ll say it again, this is such a perfect example of the need for a functional approach. Because you had mentioned, we were talking about the problems with converting T4 to T3 and inflammation being one of the primary drivers. Well of course, Functional Medicine can help us get to the root cause of that inflammation, which is often in the gut, not always. But we also know, you mentioned the liver, most of the T4-to-T3 conversion happens peripherally. Meaning not in the thyroid gland itself. It happens in the gut. It happens in the liver. It happens in the cells around the body. And I think about 20 percent of the conversion of T4 to T3 happens in the gut. So if somebody’s gut is not functioning well, that could actually cause a thyroid issue even if they’re producing enough thyroid hormone. The thyroid is making enough T4 but because of the inflammation and the gut issues, they’re still experiencing hypothyroid symptoms and low T3 because of what else is going on in the body. Sometimes this is referred to as low T3 syndrome. We’ve both talked and written about this a lot, but it highlights the need for a really comprehensive approach. Another issue, of course, that you alluded to earlier is nutrient deficiency. So we know that zinc and selenium are required to convert T4 to T3. So, there’s so many things that need to be looked at here. And this is one of the deficiencies of the model, and you highlighted it so well, where instead of taking this more comprehensive approach with one person who can see the whole picture, someone gets referred to a psychiatrist and a dermatologist and a gastroenterologist and all these specialists, who are really just kind of looking at it through a very narrow lens and nobody’s putting all the pieces together. Izabella Wentz: Yeah, I always joke that you go to see the left arm doctor and then you go to see the right arm doctor, and then they’re each just looking at one part of you, right? Chris Kresser: Yeah, yeah. I mean, we can go on and on about this. I think most of the listeners are familiar with the issues that we’re talking about here. But I find that the Hashimoto’s in particular is such a good example of the ways that we need to improve our current system. Because the traditional approach is really, really failing patients. Okay, so we’ve talked about the issues with TSH. We’ve talked about why testing for TSH, and even just testing for total T4 and total T3 for that matter, are not enough, and we need to test free T4 and free T3. We talked about testing for thyroid antibodies and why that’s so important. But let’s dive even a little deeper on the autoimmune piece. Because let’s say somebody tests for—trick question here—thyroid antibodies and they’re normal. Can we then just say, “Okay, they’ve tested once for their thyroid antibodies, they’re normal, they absolutely don’t have Hashimoto’s”? Because that happens a lot too. We see this in the conventional setting. Somebody begs their practitioner to test for thyroid antibodies and they do it once, the person doesn’t have positive antibodies, and the practitioner says, “Okay, you don’t have Hashimoto’s.” What’s the problem with that? Izabella Wentz: You know there’s also something called seronegative Hashimoto’s where, back in the day depending on what study you looked at, they would say that 80 to 90 percent of people with Hashimoto’s had one and/or the other antibody. And so there was 10 to 20 percent of people who could have Hashimoto’s without any of those antibodies. Izabella Wentz: But now there were more studies done through fine needle aspiration, which is an invasive procedure and is generally not done to test for Hashimoto’s. It’s generally done to look at thyroid nodules to test them for cancer, any kind of abnormalities. And when you use that procedure, what you can do is you can look at the cells within the thyroid gland under a microscope and you can tell if there were changes consistent with Hashimoto’s in those cells. And unfortunately or fortunately, this method can uncover additional cases of Hashimoto’s when even the thyroid antibodies are “normal.” And, again, normal conventional medicine, some labs will say if they’re under 100, they’re normal. Or if they’re under 35, they’re normal. If they’re under nine, they’re normal. And you know what’s normal, again? It could be, I would say, under maybe one or two might be “normal,” but you also want to look at the thyroid ultrasound. Because we could see some of the changes consistent with Hashimoto’s on a thyroid ultrasound. And then with, as I mentioned the fine needle aspiration, we can find more cases of Hashimoto’s that way. But that means, or how could I put this? But that in order to find every case of Hashimoto’s we would have to look at every single thyroid cell under a microscope. So you’d have to remove the entire thyroid gland and look at it under a microscope to really rule out Hashimoto’s. Chris Kresser: Yeah, and this goes back to what we were talking about before with how the lab range for TSH was developed is in the NHS cohort, the Nurses’ Health Study. They did try to eliminate people with known Hashimoto’s by—and also undiagnosed Hashimoto’s—by testing for thyroid antibodies. But as you just explained, that will not eliminate everybody with Hashimoto’s. In fact, quite a few people will be missed. So, and then antibodies fluctuate. We know that there’s a relapsing and remitting characteristic of Hashimoto’s. Anyone who has Hashimoto’s knows this, that if they test their antibodies serially over time, they’ll see them go up and down, depending on what’s happening. And if you just do one test, you might catch someone on a good day, right? And their antibodies are normal. And then I think I also see this—sometimes practitioners will only test for TPO antibodies and not do thyroglobulin. You mentioned that before, like, that some people have one antibody, not the other. And it’s not unusual for me to see someone who has normal TPO antibodies but very high thyroglobulin antibodies. And that person would be missed if only TPO is tested for. Izabella Wentz: And to get even more nerdy, there are additional types. Chris Kresser: We like nerdy here. So go ahead. Izabella Wentz: There are additional types of thyroid antibodies that we don’t necessarily even test in the real world. They might be available to scientists. Chris Kresser: Antibodies to thyroid hormone itself, which are not typically tested for. And then some of the Graves’ antibodies, and yeah. Izabella Wentz: Iodine transporter antibodies, the list just goes on and on. And I don’t write about it on my blog, but I did, like, a healthcare professional presentation a few years back, and at that time I think there were, like, 16 different ones that were identified. I’d have to go back to my notes, but yeah. So you could have antibodies that haven’t even been described yet that’s a part of your thyroid physiology at this point. Izabella Wentz: Good old symptoms. 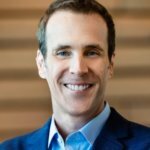 Chris Kresser: Symptoms and also just research. Because it’s important, this is where, when we look, there are different kinds of evidence, right? There’s clinical evidence, there’s evidence that we look at from research. There’s anecdotal evidence. But when we look at the research, we see that, statistically speaking, Hashimoto’s is the most common cause of hypothyroidism in this country. In other parts of the developing world where iodine deficiency is still more prevalent, that is the number one cause. But here in the developed world, it’s Hashimoto’s. And then if you rule out iodine deficiency and nutrient deficiency and other potential causes of hypothyroidism, and if the patient has symptoms that are consistent with autoimmune inflammatory disease, which we’ve talked about throughout the show, and maybe they have higher T4 and lower T3 and certain things which are known to trigger or exacerbate the immune system, make their condition worse, maybe they had a viral, they had mono, and their symptoms started after that, or maybe their symptoms started after they delivered a child, then you put those pieces together and you make a clinical diagnosis. You put all those together, even if you don’t have conclusive evidence through antibodies that it’s Hashimoto’s, it’s there, in the Functional Medicine this is what differentiates it from conventional. Again, there’s no downside to treating it as an autoimmune condition, like, doing some diet changes and things like that, because we’re not using immunosuppressive drugs, like you might with Crohn’s disease or something like that. So in that case, the standard of proof needs to be higher. But with Hashimoto’s, if you’re going to go on an autoimmune protocol diet, to me that’s a sufficient, if you suspect it, that’s even one way to test the theory. And we’re really focusing on treating the person as a whole in their whole body and that might … what’s kind of, I think, wonderful about this is from a conventional medical standpoint when I used to be a regular pharmacist, we would give people medication to treat one condition and then we would bring on symptoms of another condition. Chris Kresser: Well, there’s another medication for that. Izabella Wentz: Yeah, like for people who are depressed, we’d give them Effexor. And then they get high blood pressure, which is a side effect of Effexor that most psychiatrists don’t really know about because they don’t test blood pressure in their patients. Izabella Wentz: And so then the person would go back to their primary care doctor and they’d be like, “Oh, you have high blood pressure. Let’s give you a blood pressure medication for that.” And then you get a blood pressure medication for that and some of them cause you to have potentially fainting. I had one client who … I used to be a consultant pharmacist for people with disabilities. And a lot of times they weren’t able to advocate for themselves. So I was the one that was sent in when they were having all these issues. And I had one client, no joken he started off on an antidepressant, then was given this blood pressure medication that caused him to have fainting because when he would stand up it would drop his blood pressure and heart rate too much. And so then he was put on a seizure medication, because people thought that he was having seizures. And the seizure medication caused some abnormal overgrowth in his gums. So then he was placed on another medication for that. And it was just like one thing after another, and that was traced back to one initial medication. Chris Kresser: Yeah, the medication treadmill, I call that. And it’s a very real thing. It’s why so many people over the age of 65 are taking five or more medications. So let’s talk a little bit about how to avoid that in the case of Hashimoto’s. Because this is, your first book was really focused on, the Hashimoto’s protocol was focused on reversing symptoms, but your new book, which is Hashimoto’s Food Pharmacology, looks more at food as medicine. And to me this makes a lot of sense. I agree with you a hundred percent, actually. Often my patients are surprised to hear me say this that if you do have already, Hashimoto’s has progressed to the point where there’s been some destruction of the gland, and even at the very early stages, using thyroid hormone is just smart because it’s so crucial for so many cells in the body. And it can prevent or slow the further progression of Hashimoto’s, as you mentioned before. At the same time, in the conventional model, that’s the only thing that is done. So let’s talk about some of the other steps that people can take, particularly with food, to quell the inflammatory response that really is the root cause of the condition. If we think of this from a Functional Medicine perspective, I’m always telling patients, “You really don’t have a thyroid problem. You have an autoimmune problem that’s affecting your thyroid.” So how do we look at, what are the biggest things for you in terms of food that can help people to kind of put the brakes on this inflammatory reaction? Izabella Wentz: So, I love using food as medicine, and food pharmacology is just amazing, how the things that we put in our bodies can have such profound effects on us. It seems so easy, but at the same time when I was in pharmacy school, I just didn’t quite see that. I just thought medications had an effect. But we know that everything that we put in our body is going to send messages to it. And so with Hashimoto’s and just about every autoimmune condition, and I would say about every health condition, this is why I love using food so much, is because you’re not going to make one thing, generally you’re not going to make one thing worse by focusing on treating your Hashimoto’s with food. And so for me, I really look at the patterns that most people with Hashimoto’s have, and I would argue to say that most people with autoimmunity have this too. One of them is going to be, which we talked about, micronutrient deficiencies. And so we want to figure out which nutrients are going to be deficient. And many times we can address this by eating a nutrient-dense diet. Sometimes we may need to add some enzymes to ensure that we’re removing the nutrients from these foods properly. And thyroid hormones can help with that as well, because if we have an underactive thyroid, then we might not be extracting nutrients properly. And then in some cases, we may need to add some supplemental nutrients as well. Then we’re looking at macronutrient deficiencies. So a lot of times people with Hashimoto’s will have diets that are deficient in protein and fat. Sometimes this is a consequence of long-term deficiency and digestive enzymes where we just kind of, we find that we don’t feel so good after we eat protein or fat. So we just end up gravitating more towards carbohydrates. It also doesn’t help that most of our nutrition education comes from commercials nowadays. So it’s, like, make sure you, I know when I was in pharmacy school, I was shocked that carbohydrates were not, like, a requirement. I thought, like, fat was something that was optional because of all the commercials I watched for a low-fat diet. Izabella Wentz: Of course, I’ve already mentioned deficiencies in digestive enzymes. Blood sugar swings. This is something that’s crucial that can be addressed with proper nutrition, food. And then we have a toxic backlog. A lot of times we find that the foods that we’re eating can be contributing to that toxic load and not helping us with it. And this could be some of the processed foods, some of the toxins that are present in our foods, genetically modified foods. And then one really easy thing is fluoride in our water supply. Unfortunately, that can have some adverse effects on the thyroid. Food sensitivities—this is a biggie. I often times, unfortunately, will find that’s the only thing that people focus on. Food sensitivities are a big deal when you have Hashimoto’s. There are going to be foods that are reactive that can make your thyroid condition and your symptoms worse. We want to make sure that we’re removing those foods, but we don’t want to get obsessive about removing every food forever. Because the key is to restore our body’s ability to tolerate as many foods as possible. And then intestinal permeability. So we want to always focus on that piece with nutrition, just because that can be contributing to everything else that we may see. So I would say those are kind of like my big goals for people of things they can do with food. Chris Kresser: Those are great goals. And where do you come down with AIP and the autoimmune protocol? Izabella Wentz: I think that AIP is a wonderful protocol. I have found in my experience that people typically do best on a Paleo-like diet. I did some outcomes research with my clients, initially, and then with readers. A majority of them do best with either a gluten-free diet—so 88 percent of people find that gluten is not their friend. Being gluten free makes them feel better. And then we’ve got about 80 percent improvement of people with a Paleo diet and close to that with autoimmune Paleo. I’m not the person that’ll say, like, every single person with Hashimoto’s needs to be 100 percent autoimmune Paleo. I feel like everybody needs to be individualized. These diets are amazing templates. I will say, in my book I have three different dietary templates, and one of them is the introduction where it’s gluten free, dairy free, soy free, and you can start there. And then if you feel, if you still have more symptoms and issues, then you’ll eliminate more foods until you get to more of a Paleo template. And then if you don’t do well there or if you plateau there, then you may eliminate more foods to get into the autoimmune Paleo-like template. Or the other option I recommend for people, depending on where they are, is start off with the autoimmune Paleo template, and then you’ll add in more foods back. And there’s different reasons and different seasons, and people may, there might be foods on autoimmune Paleo that they may not do well with. And there may be foods that they’re just fine with. So it’s a matter of, I feel like you want to have a good template. You want to start off there and pick one that fits best for you right now. And then you’re going to want to modify that based on your individuality. Like, my goal for people is to become their own nutrition gurus and to kind of awaken their intuitive ability to figure out which foods serve them, which ones cause them harm. Chris Kresser: Yeah, I love that approach. And it’s very similar to how I think about it. AIP can be a game-changer for some people, there’s no doubt about that. I’ve seen that. There’s actually even now some peer-reviewed research supporting its use for Crohn’s and inflammatory bowel disease and found that it achieved similar or better results than standard immunosuppressive drugs, which is pretty incredible. So we know that that can have a great impact for some people. At the same time, it is an extremely restrictive diet and it’s not necessary for all people. And I think there has been a sort of misconception. I see this in my patients. Patients come in and they tell me they’ve been on AIP, and I ask them if they’ve really had any benefit from it. And they say, “No, not that much compared to, like, a more expanded Paleo diet.” And I ask them why they kept doing it. And they tell me they just thought that that’s what they need to do because they have an autoimmune disease and everyone who has an autoimmune disease should be on AIP. And my explanation to them is, “No, we don’t have, there’s not enough research to suggest that these foods are universally harmful for people, the foods that are removed in an AIP approach are universally harmful and therefore, anyone with any kind of autoimmune disease should be on it for life.” I think that’s a huge stretch from what the research has told us so far. And it sounds like you and I are on the same page, where people should basically eat as diverse a diet within a template of healthy foods as they can tolerate and feel good on. Izabella Wentz: Absolutely. And in my experience, it’s not necessarily that the foods are evil. It’s that we have a leaky gut for whatever reason. And whatever foods we’re eating when our gut is leaky are the foods that we’re going to react to. And the autoimmune Paleo diet tends to work in our Western society because it eliminates some of the most common foods that are over-eaten. And so a person, let’s say they were on an all-coconut diet every day, then they got an H. pylori infection or they got a Blastocystis hominis infection and were not able to digest fat properly. Because of some digestive enzyme deficiency, they may end up becoming sensitive to coconut milk. And so, and I think coconut is an amazing, hypoallergenic food. But we really want to look at the individual and what their sensitivities are. And we also want to do a whole-person approach. We don’t just want to say keep removing more foods and you’ll be healed. We want to say, “Okay, why are you sensitive to these foods? What can we do to reduce that sensitivity?” And some of the things that I talk about in my book are going to be digestive enzymes. We’re going to be addressing nutrient deficiencies. I recommend actually trying to rotate foods so you’re not eating the same thing for breakfast, lunch, and dinner every day. You’re giving your body an opportunity to sort of recover from eating the same things over and over. And the big piece of course, and I always tell this to everybody, is if you’re not getting better on a diet for three months, there’s a really important thing to consider is looking at other things. Working with the Functional Medicine practitioner. You have a gut infection that’s making you intolerant to everything. Chris Kresser: So important, so important. And I would say—and we don’t have time to go into detail on this. I’ll be talking about it with another guest in an upcoming podcast, but there’s so much, I think, so many different converging lines of evidence now that suggest that we can heal food intolerances, in many cases. Maybe not in all cases, but by addressing gut permeability, by addressing the gut–brain axis, and looking at the gut as the second brain in the nervous system, taking steps to reduce stress, there’s a lot that we can do. And as you said, Izabella, in Functional Medicine we’re really concerned with the root cause. Food is often not the root cause. It’s a trigger because there’s an existing root cause of a leaky gut or a disrupted gut microbiome. So we need to always remember that removing the trigger does not necessarily address the cause. It could be one necessary step, at least for some period of time, but it’s often not enough on its own to address that underlying cause. Izabella Wentz: Yeah, I’ll be really looking forward to that discussion. I personally have seen a lot of success in people getting rid of food sensitivities with some of the strategies I mentioned and also with using systemic enzymes. That’s been a little nice thing that people can add. And that was my goal in Food Pharmacology was to include all these different helpful things so people weren’t just removing more foods and they have this comprehensive guide to become, like I said, their own nutrition guru. Chris Kresser: Great. Well, thank you so much for joining us, Izabella. I love your most recent book, Hashimoto’s Food Pharmacology. I think it’s such an important contribution because as we’ve discussed all along, the standard of care of just prescribing thyroid hormone, especially Synthroid, or levothyroxine, is just not sufficient for people with hypothyroidism and Hashimoto’s. And looking at things from a more holistic view is really going to make a far bigger impact long term for everybody. So where can they find the book and learn more about it? Izabella Wentz: The book can be found on Amazon and Barnes & Noble, wherever books are sold. And hopefully it helps keep people on their health journeys. I know it’s hard when you’re first diagnosed and trying to figure it out. And hopefully this gives people a bit of a tool to take charge of their own health. Thank you for having me. It’s such a pleasure to be here with you. I’m a huge fan of your work, and thank you for the work that you’re doing in the world. Chris Kresser: Well, you’re welcome, and thank you, Izabella. And where can people find more about your work? Izabella Wentz: Thyroidpharmacist.com is where I usually hang out. It’s my website, and I share all kinds of new research about Hashimoto’s and some of the things that have worked for me, as well as my clients and readers. Chris Kresser: And I think you have a very active Facebook community. Izabella Wentz: Absolutely. You can find me on Facebook.com/thyroidlifestyle, or search for Izabella Wentz or Thyroid Pharmacist, you’ll be able to find me. I usually pop in there just to say hello and answer readers’ questions on a daily basis. Chris Kresser: Great, great. Well, thanks again, and good luck. And we’d love to have you back on the show in the future. Izabella Wentz: Thank you so much, and you have a wonderful day. Chris Kresser: You too, take care. Now, I’d like to hear from you. Have you undergone testing for a thyroid disorder? Or, if you’re a practitioner, have you considered autoimmunity as a root cause for any of your patients? Let me know! And, as always, if you’d like to submit a question, you can record one here.